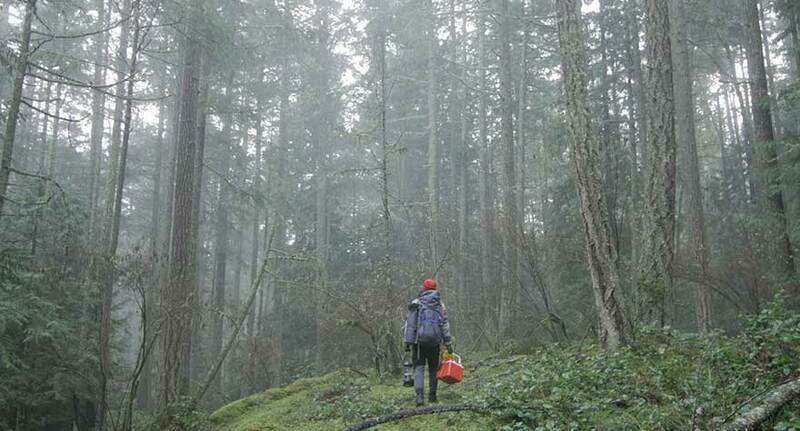 Forest settings have been mined for horror material so often that it’s a cliche. Nearly every mainstream slasher series has a scene with a ‘final girl’ running barefoot through the woods from a monster, with an unrealistically bright moon casting mood lighting over the whole affair. Doing something interesting with this setting is tough after 30-plus years of horrors, but The Interior brings something new to the table with strong characters (in particular the lead), and a script that always turns left when you expect it to turn right. 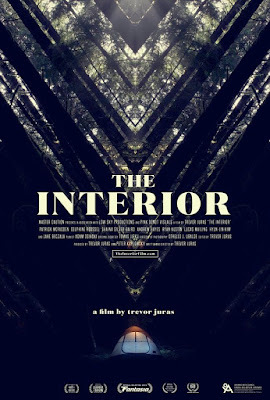 In the unlikeliest of moves, The Interior’s first half contains nothing whatsoever to indicate that you’re watching a horror film. The first act is a sharply-written comedy in the vein of Office Space, where our sarcastic but indifferent protagonist, James (Patrick McFadden) becomes increasingly frustrated with his thankless desk job, his complete idiot of a boss (Andrew Hayes), and his mundane life in his generic Toronto condo. All of this is brought to a boiling point when James is diagnosed with an unspecified but presumably terminal disease. 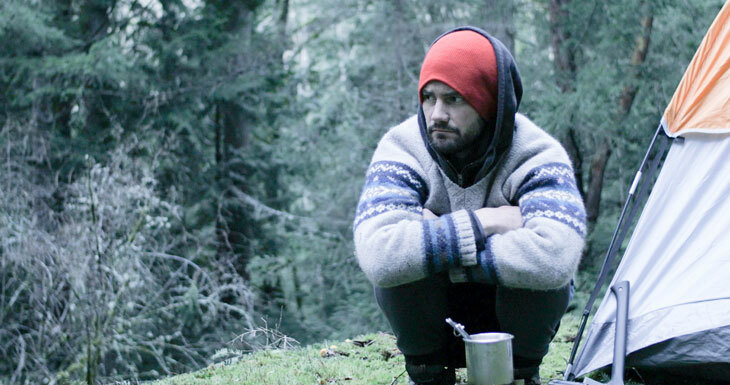 In a moments notice, James decides to quit his job, cash out, and move to the BC wilderness with almost nothing. At this point, the horror part of this horror movie actually starts. James arrives in the woods and quickly indicates to the audience that he's in over his head. 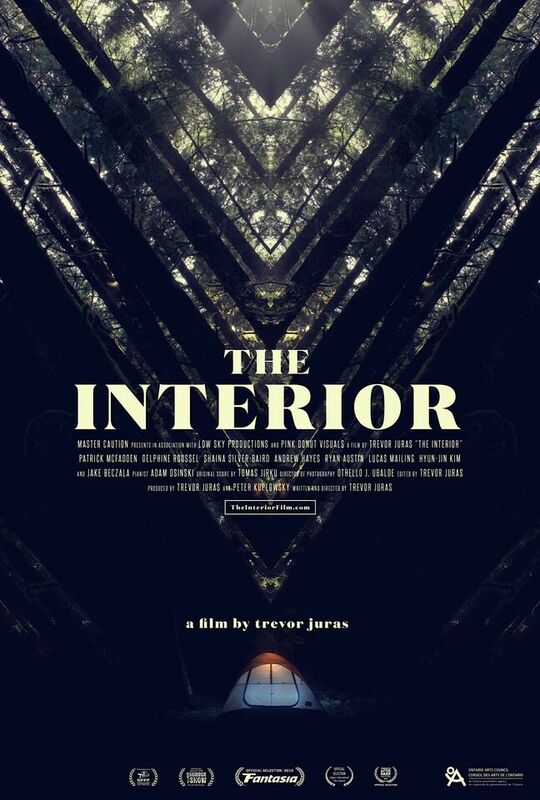 When an extremely creepy and menacing presence begins to set its sights on James, director Trevor Juras really begins to show his capacity to instill a slowly-creeping dread rather than going for the cheap jump scare. Lit with nothing but flashlights during the night-time scenes, there is nothing legitimately and affectingly scarier than taking on James's point of view as he's stalked by a disturbed man in a bright red coat, a ghastly personification of the disease that's gradually killing him. Director Trevor Juras brilliantly uses misdirection to always keep you wondering where the camera, or the plot, might go next in order to maintain a sense of disorientation. 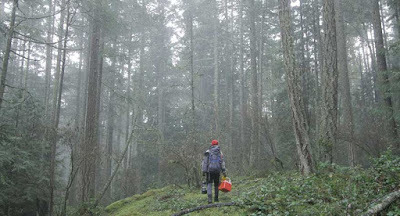 You don't need much to make the wilderness of BC look beautiful, and it's on full display here. What's tricky is making such a giant, expansive setting seem like a tight space that's slowly closing in on James, and that's where the skill in The Interior's aesthetic lies. It's as claustrophobic as a horror like The Descent. Coupled with the film's eerie, non-traditional classical music score, there's a David Lynchian feeling that there's something 'off' (in a calculated way) in even the most innocuous frame in The Interior's bizarre second half. While it certainly isn't what you'd call commercial horror and doesn't provide a scare-a-minute jolts that such films often lean on, there's a lot to love about this twisted little wilderness advenure. If you're in the mood to work a little harder for your scares in exchange for something that'll sit with you a little longer, I'd have no reservations recommending an escape into The Interior. Check out Toronto After Dark's schedule, ticket info, and more here. You can find all of our coverage as it's released throughout the week here.